STropB visible, a slightly darker marking was present in the STropB close to the STB near the CM. SEB broad with some darker sections. NTB hard to see, a small darker section present on the prec. side to about the CM. NTZ only seems to be clearly defined on the prec. side of the disk just before the CM. A very nice sketch indeed. You always do pull in some fine detail. 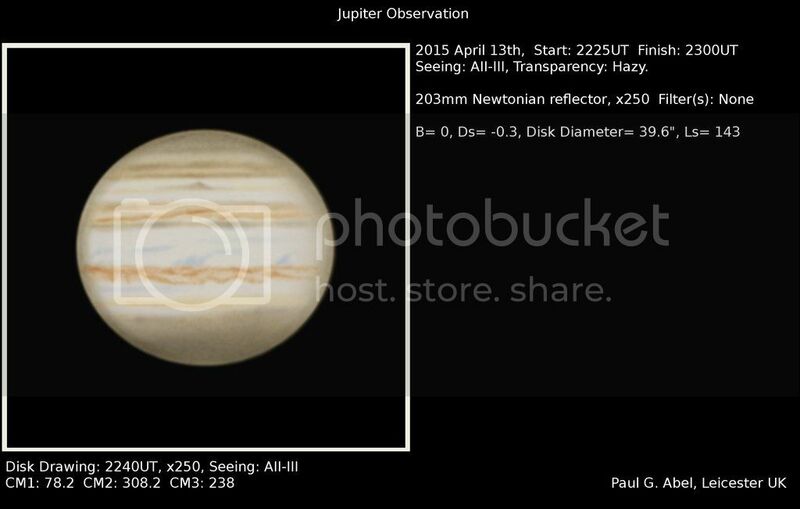 Nice sketch of Jupiter on Apr. 13th. .